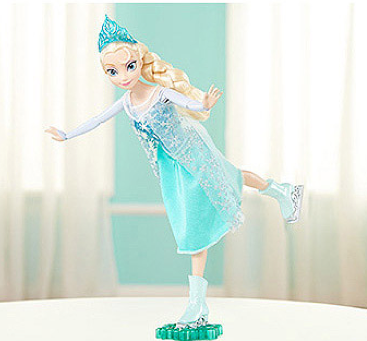 Disney Frozen Skating Elsa & Anna Dolls ONLY $19.88 + FREE Store Pick Up (Reg. $24.97)! You are here: Home / Great Deals / Disney Frozen Skating Elsa & Anna Dolls ONLY $19.88 + FREE Store Pick Up (Reg. $24.97)! Guess what!? I just found these Disney Frozen Skating Elsa & Anna Dolls on rollback for ONLY $19.88 + FREE Store Pick Up (Reg. $24.97) if available in your area! Choose from Elsa or Anna at this price! Hurry, because these may not be in stock much longer at this price!